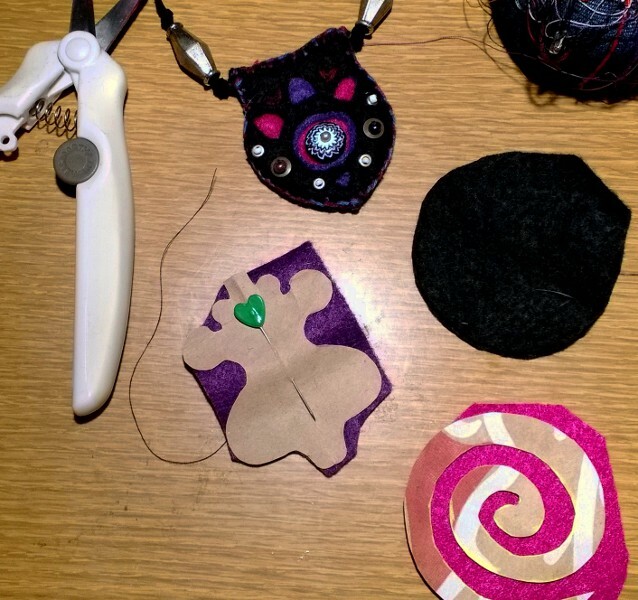 I will be at the 2nd Hand Treasures Yard Sale Friday, Oct. 4th- hoping to be able to show off and sell some of these awesome recycled-felt pendants! They are not only good looking but have a secret surprise. Stop by from noon to 4pm, or contact me to find out more. This entry was posted on October 4, 2013 by laughingnewborn. It was filed under Uncategorized and was tagged with eco felt, fiber arts, jewelry, Portland.